Like any, historical, feature film, the process is lengthy, requires intense research, focus, dedication, and the passion to see it get made. Producing a film for worldwide commercial release is an intense labor of love, and takes time. Producer/Writer/Director, Donald Vasicek, has been revealing the story of the Sand Creek Massacre for many years, because of his deep, personal, conviction that it must be told. 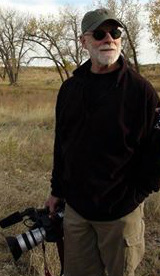 The result of his commitment was the award-winning, "Sand Creek Massacre" documentary film. "This photo was taken at the American Indian Genocide Museum in Houston. I was screening my award-winning film, "The Sand Creek Massacre." In the back from left to right: Russell Means(†). Steve Melendez. Cheryl Melendez. Pearl Means was on my right. I apologize, but I was unable to get the gentleman's name on my left. He was a very nice man. Shame on me." When Mr. Vasicek shared the documentary project, with "The Captain" Executive Producer Marcinho Savant, three-hundred, thirty-three days ago, he asked Vasicek if he felt a feature could honor the subject matter properly. Savant and Vasicek immediately began some very exacting processes, vast historical potential character research, and Mr. Vasicek set out, immediately, to writing the screenplay. Nearly a year later, the development of the script has ended, and a compelling, honest, vibrant, property is the result. Their strong partnership continues to yield solid results! The project is now widening to include more team members stepping into department positions, industry support, and enthusiastic encouragement from their friends and colleagues in the business, as it enters the next stage of the journey. an excerpt of "The Sand Creek Massacre"
Japanese Americans during World War II. Don has agreed to write, direct and produce the film. Don noted that he will also continue his work on “The Captain”, a story about Silas Soule, an American soldier who disobeyed his commanding officer’s order to fire his canon on the Cheyenne people at Sand Creek. “The Captain” is a feature film he is also writing, directing and producing. Marcinho Savant is Executive Producer of the film. His film company is Iron Violet Productions. The film is also presently in development. Don also noted that a book about Ambassador Chris Stevens, who was murdered in Benghazi on September 11, 2012, on which he was working with Stevens’s former fiancée, has been completed. It is now being shopped. Don is also working with a Portuguese lesbian writer on a book similar to E. L. James’s “50 Shades of Grey” with a new twist to an age-old story. 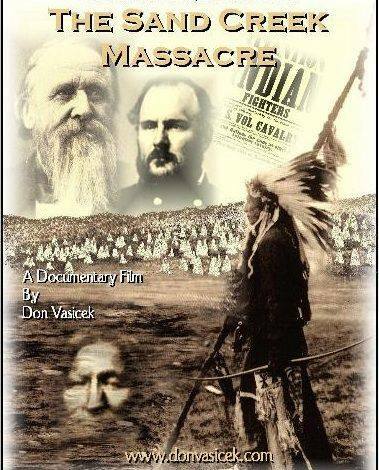 Don’s award-winning Sand Creek Massacre film, “The Sand Creek Massacre”, is for sale on the Films Media Group website (http://www.films.com/ecTitleDetail.aspx?TitleID=13926&r=SR). For inquiries, please contact Don via e-MAIL, or at 303-903-2103. "The captain" screenwriter stays busy, consults again! donald L. vasicek is always working! It's a thrill to announce that our own DONALD L. VASICEK, celebrates another project! Even as he worked on "The Blue Man", he continues to sketch the screenplay, on which he will creatively partner with our MARCINHO SAVANT, in working to create the script for "The Captain". The men have partnered to write/produce the upcoming feature. Of this collaboration, Mr. Vasicek said: "I can't wait until we can work more closely together on "The Captain". It should be a wonderful creative effort together." Mr. Savant added, "Of all the projects on which I've consulted, or am consulting, "The Captain" has a very special place in my heart. I know how much it means to Donald, personally. I'm honored to lend a hand." I hope this finds all well with each of you. “The Blue Man”, (View Teaser) at, a film directed by Istanbul Director/Producer Utku Celtic, that won a Gold Reel Award in the feature film competition in the Nevada International Film Festival, has become an official selection of the Hoboken International Film Festival. It is a story about an archaeologist who wakes up handcuffed to a bed in a basement. He has to find a way to escape before he is executed for being a spy even though he is an archaeologist hired to investigate a mass grave that contains bodies clothed in blue shirts. chills and suspense through the hate-filled world of fundamentalist Islamists. I was a script consultant on the project. Academy Award-winning cinematographer approaches, shows interest, even while screenplay still under construction! There are a few things to report on this beautiful Friday afternoon! According to Mr. Vasicek, "An Academy Award-Winning cinematographer has expressed interest to me in shooting "The Captain" for us." The screenplay is being worked on, in earnest, by award-winning writer/director/producer, DONALD L. VASICEK as we speak! In a comment to Executive Producer, Marcinho Savant: "I'm having fun writing the script. It is causing me to get to know "The Captain" very well. Thank you, Marcinho." Captain Soule got thrown in jail so that he could rescue John Brown by helping him break out of jail. Brown refused Silas's offer because he wanted to be executed so that he could be a martyr for the anti-slavery cause. "I'm having fun writing the script. It is causing me to get to know "The Captain" very well. Thank you, Marcinho." - Screenwriter/Director DONALD L. VASICEK, "The Captain"
Keep your eyes peeled for latest updates, right here on the (B)LOG! Be sure to click the RSS button at the top of the page, on the left, to subscribe! "A cocksure U. S. Army Captain driven to help the Cheyenne finds the only way to succeed is to disobey his commanding officer’s order to fire on them." This soldier, pioneering abolitionist, and friend of the Cheyenne fought racism and hatred... paying with his life. THE CAPTAIN, A Donald L. Vasicek Film, Copyright © 2014 Donald L. Vasicek * All Rights Reserved.